“Work together to accomplish more” – That’s our club motto. 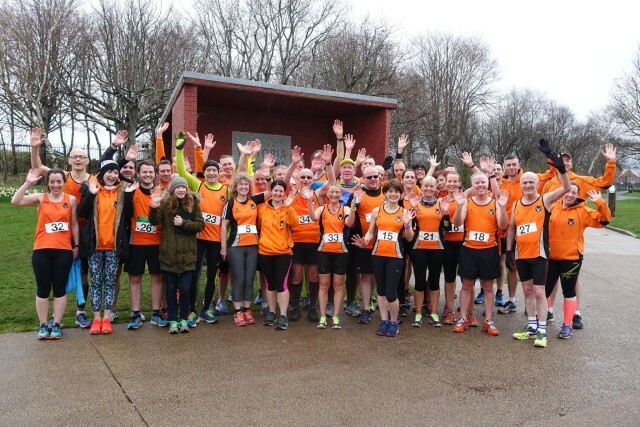 At Orangegrove AC we like to race in all varieties of competitive races including road races, trail, track and field, cross country and ultra endurance events. Joining a club and being part of a team really enhances these experiences. Over the last number of years there has been a boom in the numbers of people taking up running. Couch to 5k programmes like JogBelfast and organisations like parkrun have seen a great increase in popularity. Our club was founded in 2009 and we have been very active in encouraging this trend. We were involved in the set up of Belfast Victoria parkrun and JogBelfast East. Joining us is both another avenue into taking up running and an opportunity to take it to the next level. We have a number of qualified coaches that can help improve performance through technique and facilities like the 400 metre track we have the use of. We also have a wealth of experience of running competitively among our members. At OAC we like to race in all varieties of competitive races including road races, trail, track and field, cross country and ultra endurance events. Joining a club and being part of a team really enhances these experiences.